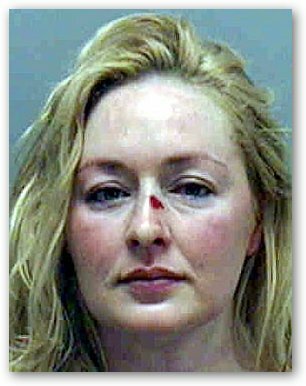 Mindy McCready is going back to jail. The 32-year-old country singer went on a hiatus from her music career in 2002 and is better known for her personal foibles now. In June, she was arrested for prescription drug fraud, and by violating her parole from that incident, she has signed up for another 60-day jail sentence. Although Mindy McCready hasn't released a CD in 6 years, she still has many fans acquired from her 1996 multi-platinum album, "Ten Thousand Angels." She went on to garner a gold for her second album, "If I Don't Stay the Night." Most recently, she signaled a return to the music world, releasing a single, "I'm Still Here", on her website. Perhaps among the many of her troubling personal struggles, Mindy McCready's relationship with baseball legend, Roger Clemens, is the most conspicuous. Their alleged relationship started when she was only 15-years-old, but Clemens maintains that she was only "a close family friend", who also traveled on his personal jet. Mindy McCready Video: "Guys Do It All The Time"